At Sprout Insights we provide resources and articles to keep you informed about ways to effectively build your social media presence. Sprout Social has social media management software that help you track and control that presence. 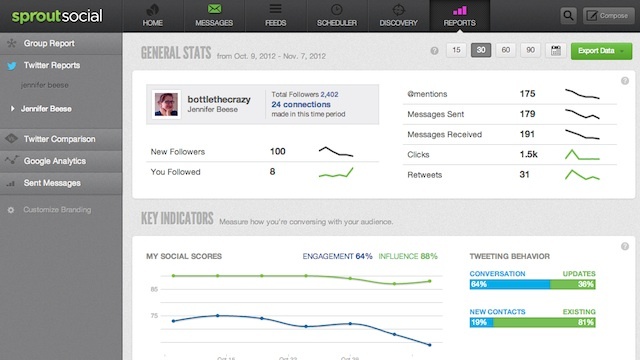 In the past, we’ve written about Twitter reports, and the useful data they contain for users of Sprout Social. 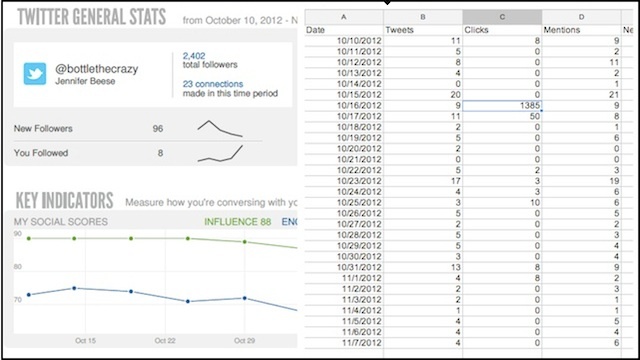 Having powerful analytics and data at your finger tips will help you to create a successful Twitter strategy. We’ve already covered how to generate these beautiful reports, but in many cases you’ll be required to share these metrics with other members of your team. Here’s how you can export your Twitter metric reports to PDF and CSV formats for easy sharing. If you don’t already have Sprout Social, sign up for a free trial. After you’ve logged in, click the button titled Reports from the menu bar at the top of the page. The default view for this section is Group Reports, which provides you with an overview of the statistics for all the accounts you have linked to Sprout Social. Since we’re focusing on just one social network, go ahead and click Twitter Reports in the menu along the left side of the screen. For Sprout Social users with multiple Twitter feeds connected to your account, make sure that you choose the correct one. Or, if you’d rather get a better idea of how the feeds are performing in relation to each other, you can click on Twitter Comparison — just below the Twitter Reports button. You can either choose two Twitter accounts that you own, or you can compare your feed with a competitor’s account. Once the decision is made, Sprout Social will generate the new report. From here, you’ll want to customize your report by selecting the date range. Sprout Social provides you with a few choices, or you can create your own range by clicking on the calendar icon. Once you’ve customized your report to your liking, click on the green Export Data button toward the top of the page. A small drop-down menu will appear and you’ll be asked to choose between a PDF file or a CSV file. After your decision has been made, the appropriate file will be downloaded to your computer. If you’re looking for a ready-to-share report, we suggest exporting your data into a PDF file. 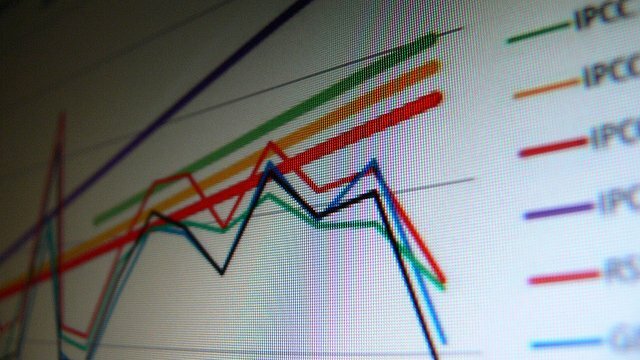 This will provide you with a visually-appealing version of your report, including charts, graphs, and other images all in the same vibrant colors you see on the screen. A Comma Separated Values (CSV) file is convenient if you plan on compiling your data in a spreadsheet. It isn’t something we recommend sharing if you want your team to have quick access to metrics. Unlike the visual PDF, the CSV file records your data in text format, which isn’t very appealing to the eye and can be difficult to make sense of without a spreadsheet or database program. Social media measurement is important as you move forward with your strategy or specific campaign. Sharing these metrics with your team can be helpful, as you brainstorm new objectives and evaluate the highs and lows from past initiatives. Sign of for a trial if you want to give it a shot, or leave us a comment if you have any questions!